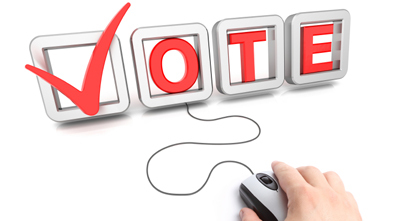 Vote in the 2014 Elections for BALIF's Board of Directors! BALIF’s bylaws require gender parity on the Board, with equal numbers of positions allocated to Directors who identify as male or female, and additional positions allocated to those who identify as gender non-conforming. This year, BALIF members will elect four male Directors, three female Directors, and two law student Directors (one male and one female). No one has elected to run in a gender non-conforming category. Read their candidate statements here. Elections will be online from April 10 to 5:00 p.m. on April 24, and ballots will be sent by email to all current BALIF members. If you do not receive your ballot by April 11, please contact balif@balif.org. You can also vote in person at the BALIF Annual Meeting and Election Happy Hour on Thursday, April 24 at the Sausage Factory from 6 – 8:30 p.m. The in-person voting will end at 7 p.m., and election results will be announced at the end of the evening. Good luck to all the candidates, and see you on April 24!